It's Yolanda here, from Scraping Time!! 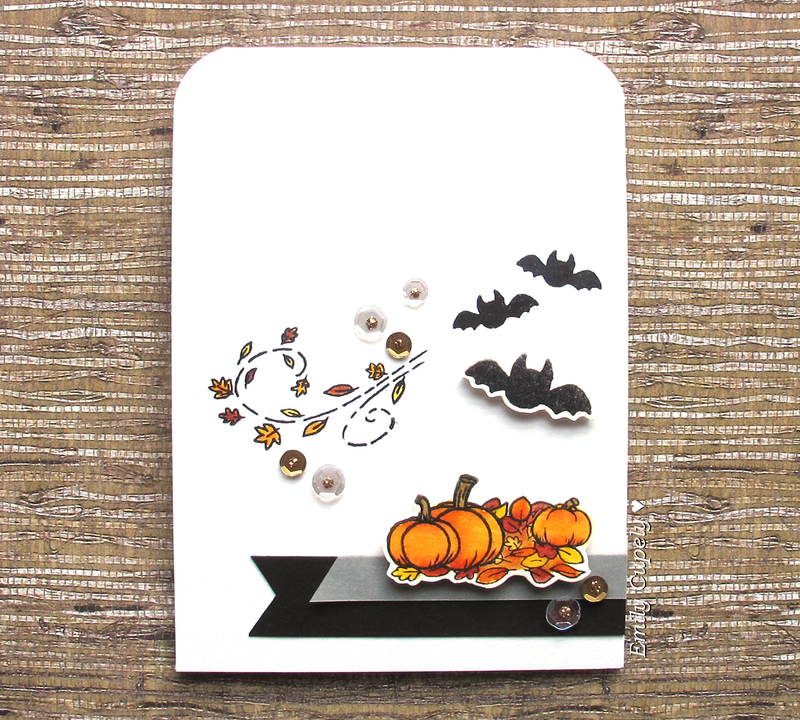 Autumn is here and to tell you the truth, I start feeling a bit down since I prefer summer, sunlight and fun hehehe... but I forgot all these feelings when I saw these cutties from the new Autumn Stamps Sets from Gerda Steiner Designs. 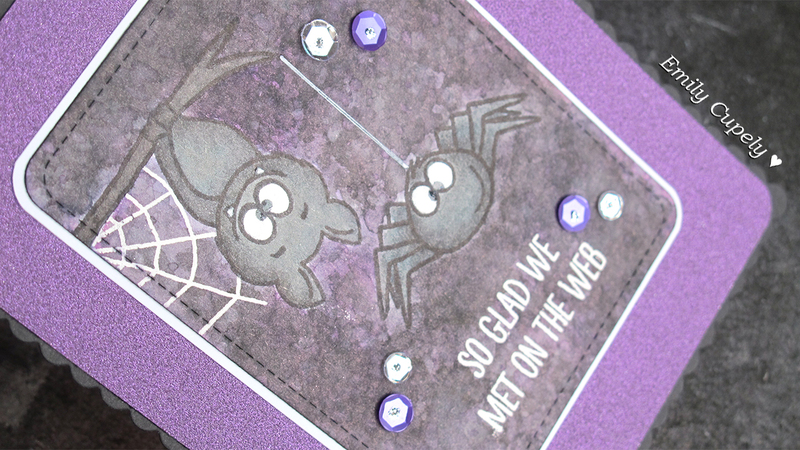 Today, I decided to mix stamps from different sets and I did a bit of masking!! I love that technique! 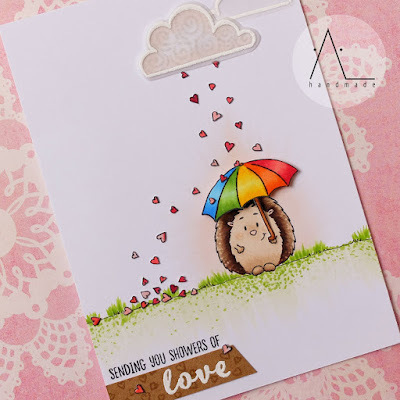 I think this sentiment is so sweet and I decided to stamp it in Delicata Ink since its colour is very soft and bright at the same time. If you have used this ink you know what I mean! 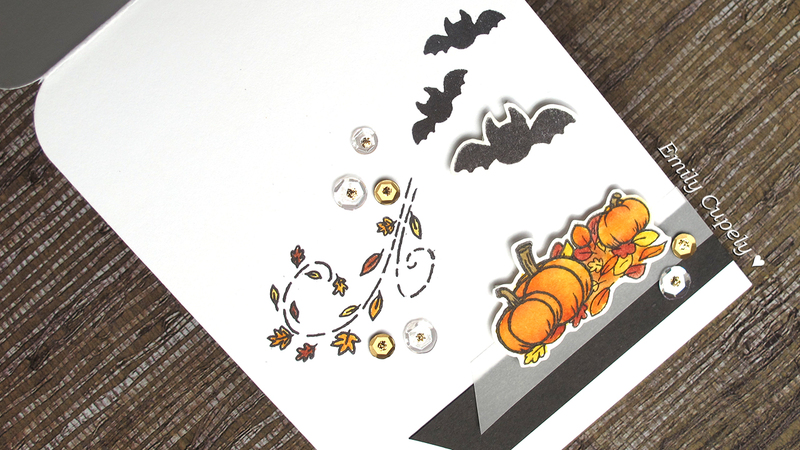 I used a scalloped border to give some interest to the pannel and I decided to use this decorated paper from Lawn Fawn. 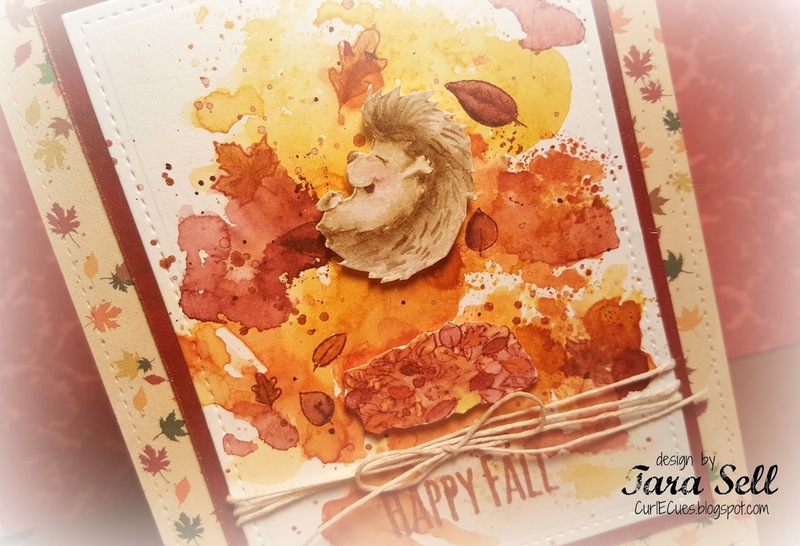 It looks great with the leaves from the Cheerful Hedgehog Stamp Set. I coloured the images with Spectrum Noir and Copic markers. For the final touch, a bit of Glossy Accent on the nose and Wink of Stella Clear in every detail. 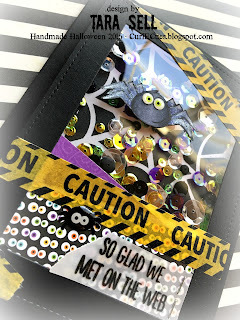 I hope you enjoy the card and see you next Wednesday with a very special post. I used my new Bandai Badge it! to create the pin out of one of the images - so many possibilities, don't you think? The Gerda Steiner Designs Juggling Tiger was part of the Digital Stamp Bundle August 2016 and is now sold separately. 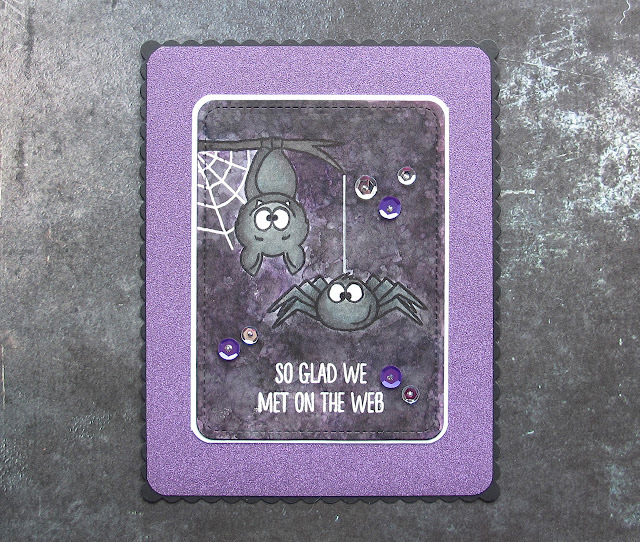 If you like stamp bundles with adorable images and a discount on top, you should really check out the Digital Stamp Bundle September 2016 which is available until the end of the month. 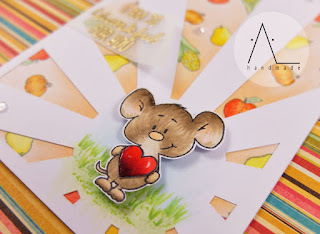 I'm Anna (al_handmade) and today I want to share with you a project featuring a sweet little mouse from the super adorable “Fall Mice” stamp set. 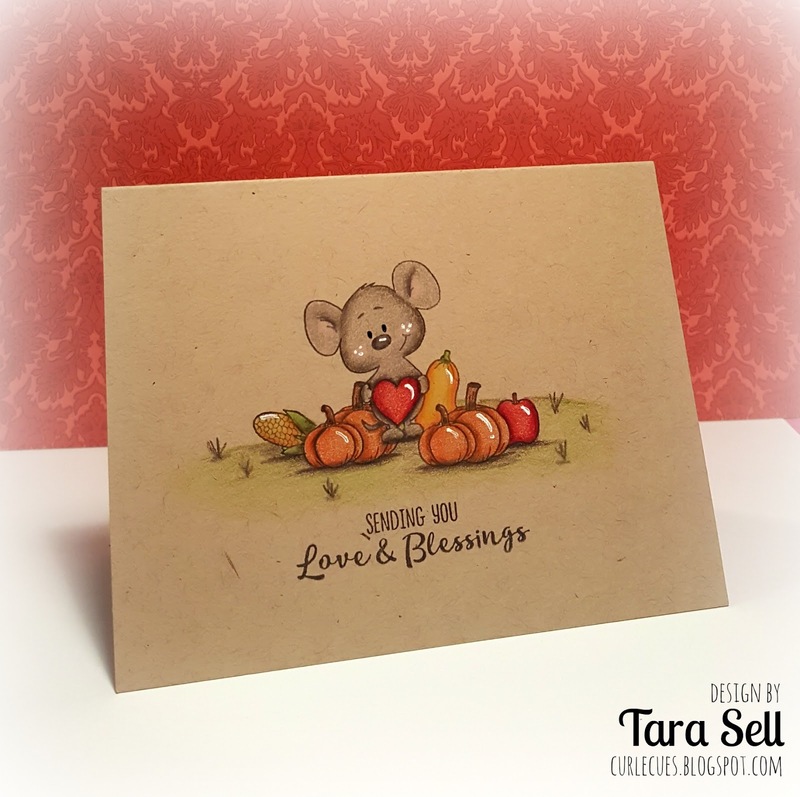 For this card I wanted to create a nice background to my lovely furry friend. I started drawing a sun ray shape on a white card panel and cut it off. Then I stamped some fruits and veggies with Memento Ink London Fog on copic-friendly paper and colored them with Copic Markers in order to create a colorful background pattern. At first, I wanted to use saturated fall colors but then I decided to go for softer shades. Maybe I'm not in an autumnal state of mind yet! :) Finally I masked my colored background with the sun ray frame previously cut. I stamped the cute critter and colored it with my Copic markers - trying to give him a furry look. Since I wanted to use a sentiment about love and affection, I added a big glossy heart in his arms. 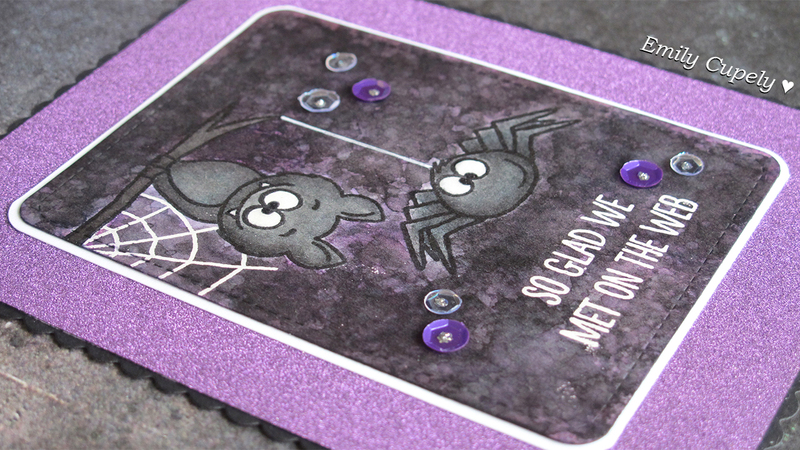 Finally I heat embossed the sentiment on vellum with some golden powder - adding one last shiny touch to my card. I'm Anna (al_handmade) and I have the huge honor of being a Guest Designer for this awesome creative team for the next few weeks. I’m thrilled! 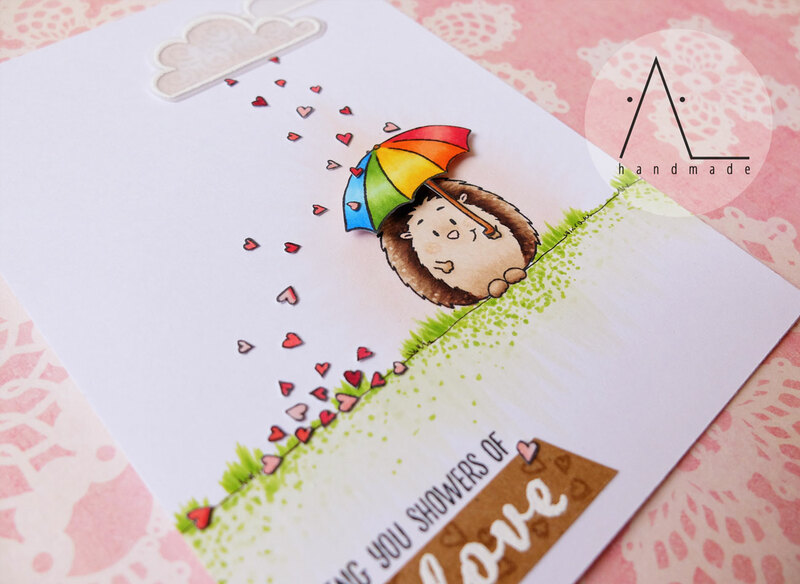 Today I want to share with you a card that I made featuring the adorable “Cheerful Hedgehog” stamp set. I really love these little cuties - they’re so joyful and funny!! Don't you think? 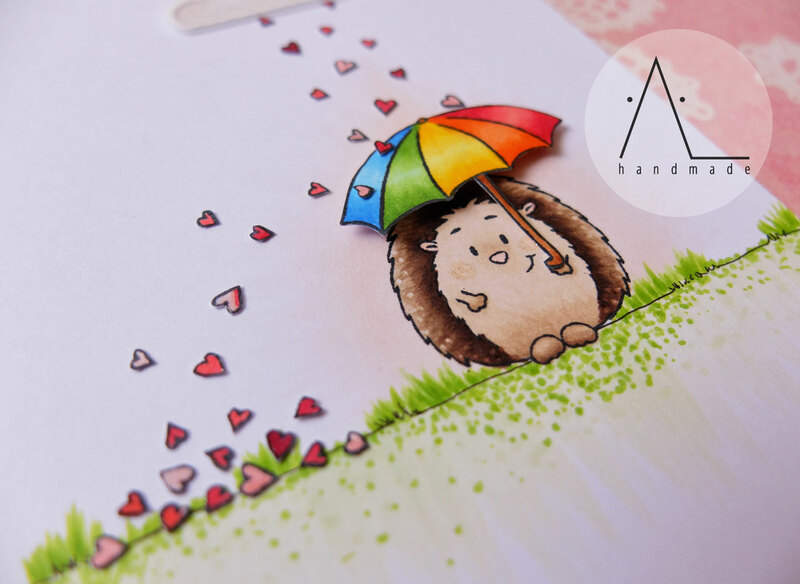 I stamped the hedgehog on my card and colored it with Copic markers, adding a little background to the scene. 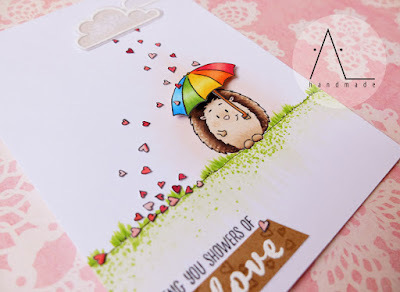 As I want this card to be cheerful and colorful, I rainbow-colored the umbrella and attached it to the scene with some foam tape - in order to add some dimension. I colored the hearts in different shades of pink/red, cut them off (with my scissors and a bit of patience) and glued them on my card, creating a sort of love waterfall. I wanted them to be sparkly and glossy so I used my Glossy Accents and my Wink of Stella Clear brush to make them shine. Finally the sentiment: I stamped half of it directly on my card and half on a piece kraft paper. 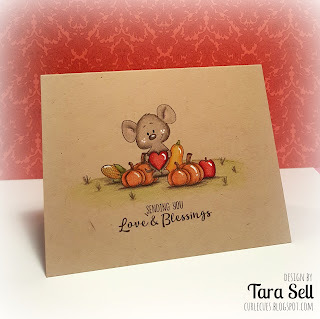 As I wanted to add some relevance to the word “love”, I created a heart texture with Versamark Ink on kraft paper, heat-embossed the sentiment and added a few colored hearts on it. I hope you enjoy this project. Thanks for joining me today! Hi, friends! 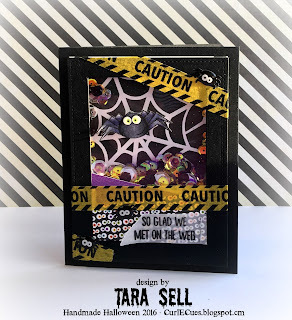 It's Tara and I am so excited to share this project with you today! I promised in my last Curl E. Q&A video that I would be "falling" all over September since this is my absolute favorite season and this card just makes me all kinds of autumn happy! I am using the Cheerful Hedgehogs and Happy Fall stamp sets from Gerda Steiner Designs and doing some no-line watercoloring for the sweet little hedgehog. I always start by stamping my image in Antique Linen Distress Ink because it is light enough that it fades as you watercolor but dark enough to allow me to see where I need to color. 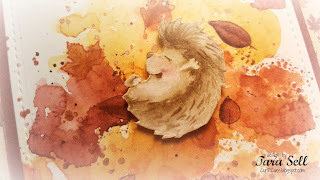 Once my little cutie was colored I created an ink smoothed background to simulate a giant pile of fall leaves flying everywhere while this hedgie plays in the big leaf pile. 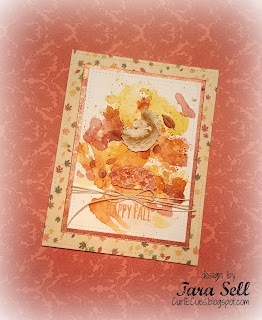 I found the perfect fall Distress Inks with Aged Mahogany, Rusty Hinge and Fossilized Amber. So pretty! Finally, I broke out the Copper Perfect Pearls to add some shimmer and shine. 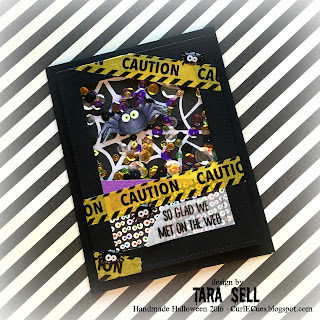 I had so much fun creating this card! 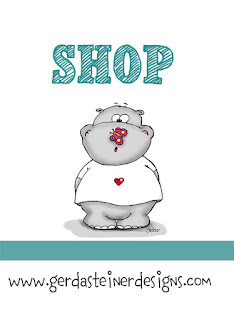 Thank you so much for stopping by and have a fabulous weekend! Bye! Hi all! Happy Friday! 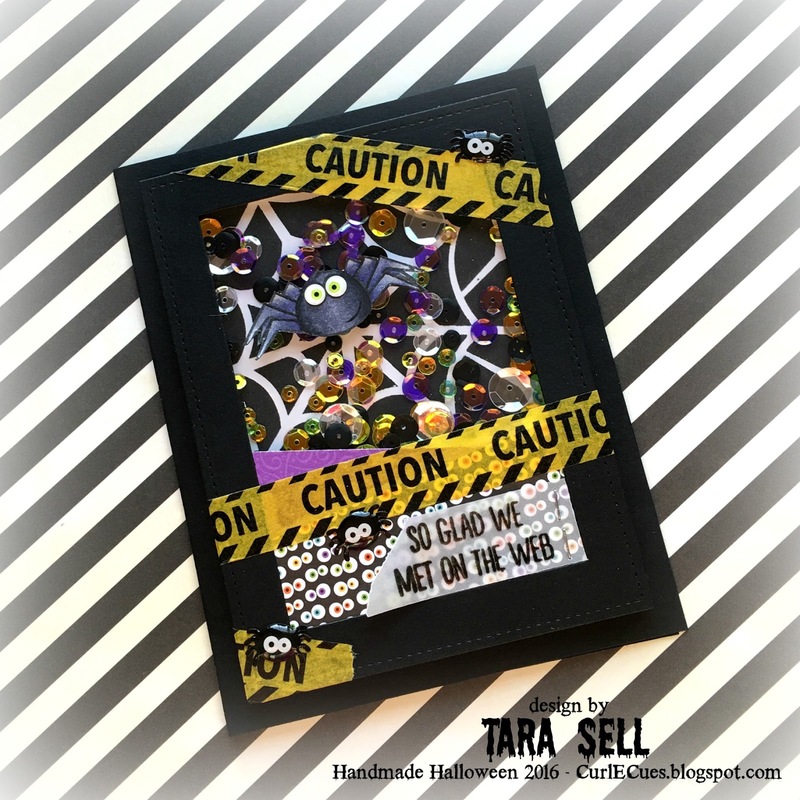 It's Tara and today I am sharing another fabulous fall card with you all! The Fall Mice stamp set is perfection if you're a love of fall like I am! I wanted the adorable images to shine so I used one of my favorite coloring methods - Prismacolor pencils on kraft card stock! Using some simple masking I created a cute little scene using this sweet little mouse and a few of the many, many fall images in this set. I then used my Prismacolor pencils to color everything in. The trick to creating depth with colored pencils is lots and lots of light layers! 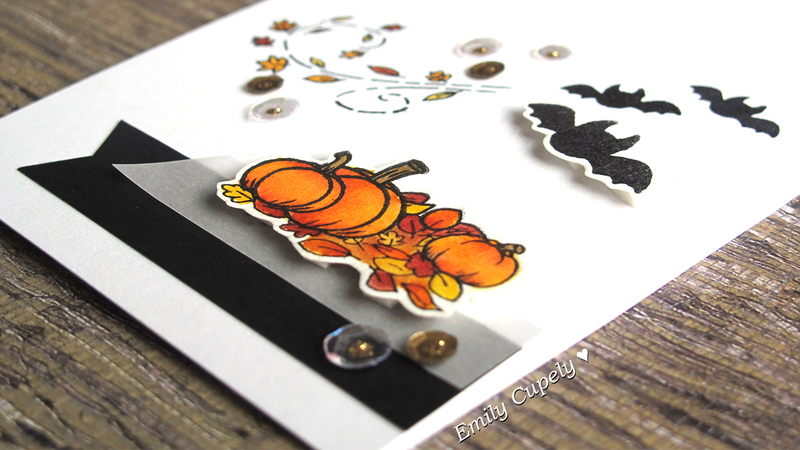 I love how this sweet and simple one-layer card turned out! It got me more excited than ever for pumpkin everything!! Thank you so much for joining me today! Have a fabulous weekend and I'll see you again soon! Bye!